Martha joined the advancement team for the Institute for Health Metrics and Evaluation (IHME) in November 2017. 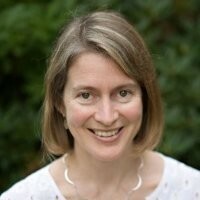 Martha works with IHME’s Global Engagement Team, staff and faculty and in collaboration with UW Advancement, UW academic leaders and volunteers to strengthen IHME’s comprehensive development program, with a special focus on deepening connections with foundation and corporate partners. Martha is committed to leveling the playing field for our most vulnerable neighbors and populations, and is passionate about building relationships that will fuel bold responses to global challenges. Before joining IHME, Martha led campaigns and development teams for Amara — a Western Washington nonprofit dedicated to the well-being of children in foster care — and for the largest Visiting Nurse Association in Vermont. Martha received an A.B. in Classics from Brown University and an M.B.A. from the Ross School of Business at the University of Michigan. Outside of work, Martha loves spending time with her family and in the outdoors — ideally at the same time.